Let me start this blog post with Congratulating Microsoft, for Windows Phone 7. I bought Windows Phone (HTC HD7) one month back, and it was amazing device. Since I’m a ASP.NET Web application developer and eager to develop web applications for Windows Phone 7. Developing ASP.NET Web application and testing those is pretty simple. Thanks to Microsoft once again, for providing free Visual Studio Express 2010 for Windows Phone absolutely free, which includes Windows Phone 7 emulator. 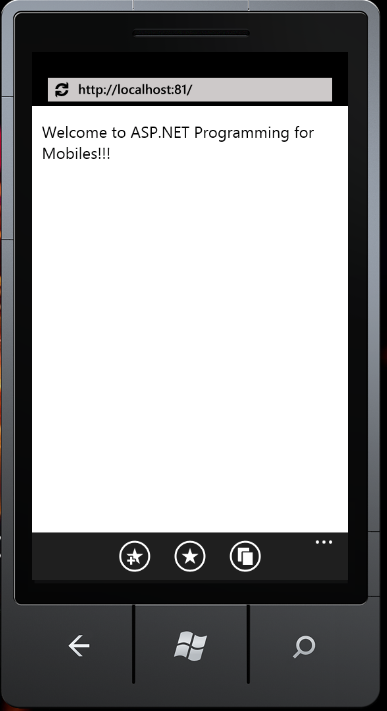 You can download Visual Studio Express 2010 for Windows Phone from this link. Let us start writing a simple web application, which targets the Windows Phone 7. As usual, start Visual Studio 2008/2010, and create a ASP.NET website project, and add simple text as shown below. Oops, the text is showing very small, not able to read what it is. By default it renders like shown in the above emulator. Don’t worry, we can resolve this issue pretty easy with some cool META tags. Just add any one of the following META tags, in the head section of you page. Woooww, it’s working. You are done, creating a simple web application for Mobile Phones. 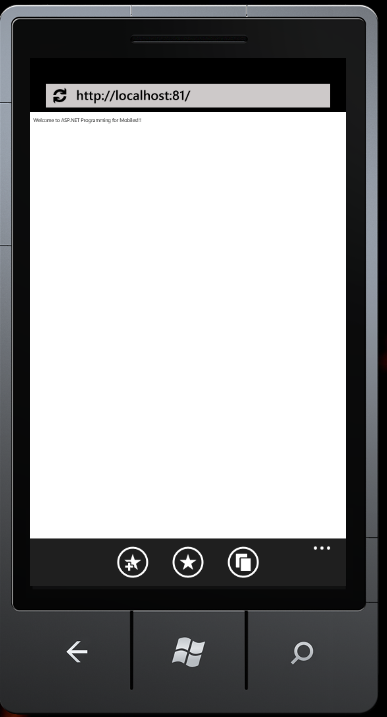 You can add all the ASP.NET controls, and all controls renders awesome in Windows Phone 7. Happy Web App development for Windows Phones!! !